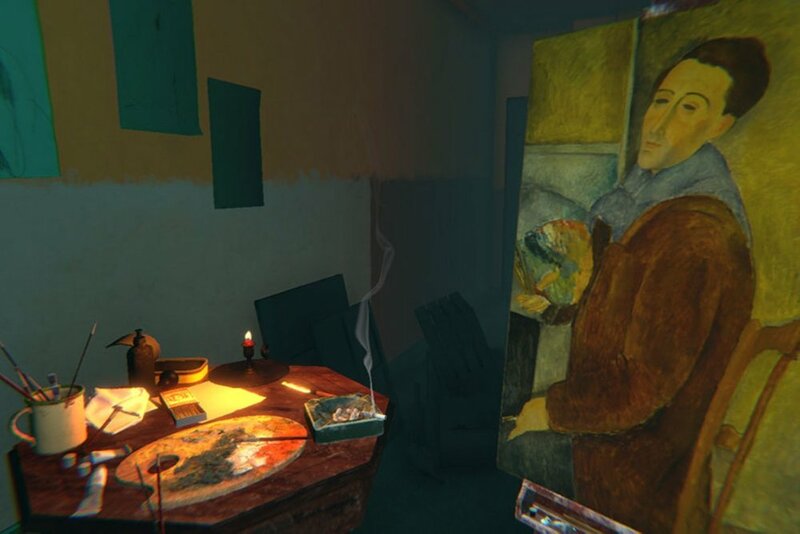 The Modigliani VR: The Ochre Atelier, a personal experience.. I have to admit: I’m a bit of an exhibition nerd. When there is a new show in town, I do my research on the artist, on the works displayed, on the curator, on the curator’s statement, on the sponsors, etc.. Yep, I want to be ready to absorb all the knowledge possible from the display and immerse myself in it. 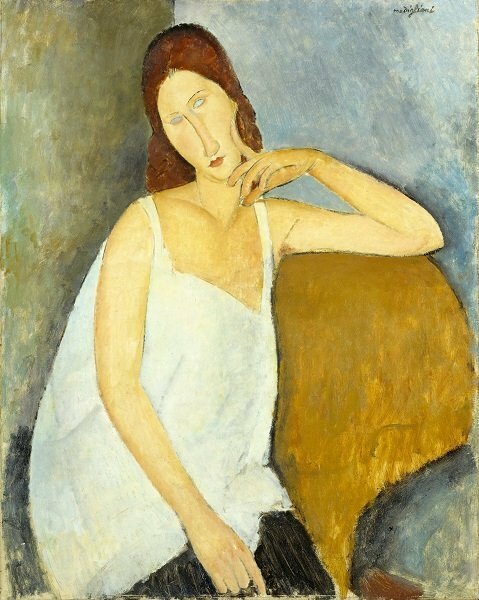 With Modigliani’s exhibition at Tate Modern, I stuck to my routine with all the more passion, given the Italian connection, and my soft spot for the elongated necks of his female portraits. Oh, and then there was also what recently happened with the Modigliani exhibition in Genoa, where police found that 20 of the 21 works displayed were forgeries (no comment). This last event made me think on how sometimes the urge or vanity to curate and organise a blockbuster exhibition can lead to failing results. So here I am, strolling happily through the beautiful rooms of the Tate, browsing from the sketched Caryatids to the Chinese Terracotta Army-like display of the head sculptures to the reclining nudes on cushions paintings, until I pass by a small room, seemingly empty, but with a long queue and a ‘minimum 30 minutes wait’ sign. 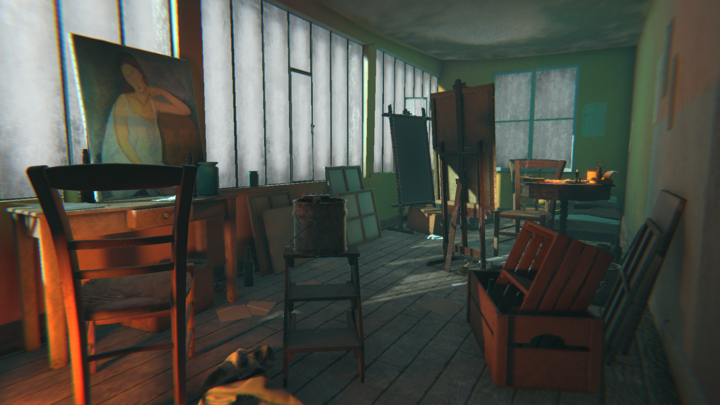 It was the The Modigliani VR: The Ochre Atelier room. However, when I visited the exhibition for the second time, armed with a little more patience and hi-tech curiosity, I queued for the room. After 10 minutes, I was buckled up on a VR headset and immersed in Modigliani’s small Ochre atelier in Paris – his last before passing. As soon as ‘I was in the studio’, sitting on a virtual chair, I felt the urge to stand up and virtually browse through the paintings I could see, to peek from the window and reach out for the rain. Saying that I was like a little girl in a fantastic gluten-free patisserie is an understatement. Created by games company Preloaded, the experience is mind-blowingly captivating: with just a look at the virtual indicated objects, the artist’s friends and Tate’s experts will start talking to you, giving immersive insights on his art and life, based on meticulous historical and technical research. What I have experienced is a full VR immersion into art and history, from humble insights into the artist’s daily life like wine bottles and cans of sardine on the floor to a long lasting testimony of his talent like two of his late works, Jeanne Hébuterne 1919 and Self-Portrait 1919, all in Modigliani’s small and modest space. When it came to the end, I felt like I had experienced something completely new and empowering, an epiphany almost. This VR experience made me think about the evolution in the exhibition business: from the paper guides, to the audio guide to the VR reality. Also, this technology is definitely answering to the millenials’ needs and lifestyle habits. It’s enriching the traditional exhibition experience moving towards a more holistic gallery offer, where is not just the art to talk about the artists but also his lifestyle and living and working spaces too.